…and life is complete. With or without a glass of wine, or maybe some apple slices. Here is a quick shot of the cheese plate we served at my daughters’ birthday party. From left to right: Asiago/Parmesan mix with olive oil and rosemary crust; jamon serrano; a creamy blue; (my favorite) Humbolt Fog from Cypress Grove Chèvre; Manchego; and quince paste. My Little Birds must agree. The other day the three of us made a lunch of the rest of the cheese, crackers and apples. Delicious! I could never get away with serving my husband that for a “meal” but the girls loved the “mama lunch” as much as I did. 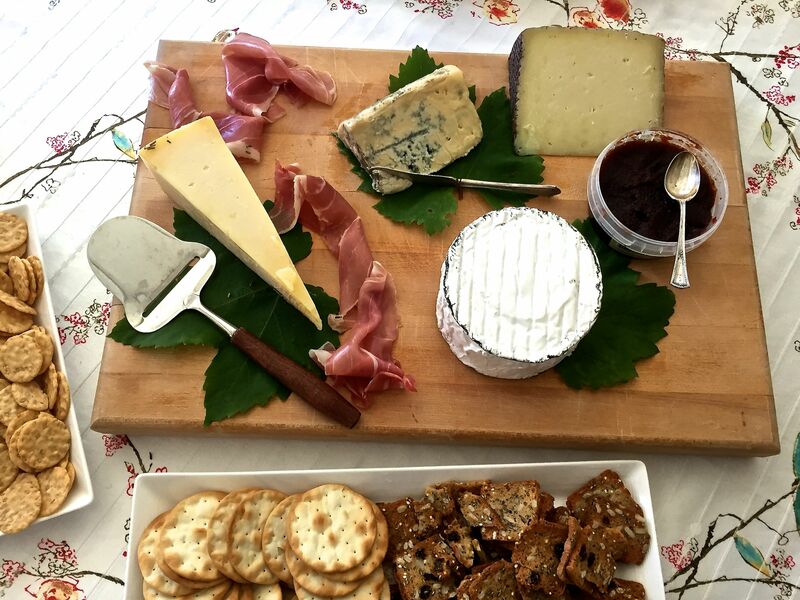 This entry was posted in Entertaining, Food and tagged cheese, entertaining. Bookmark the permalink.